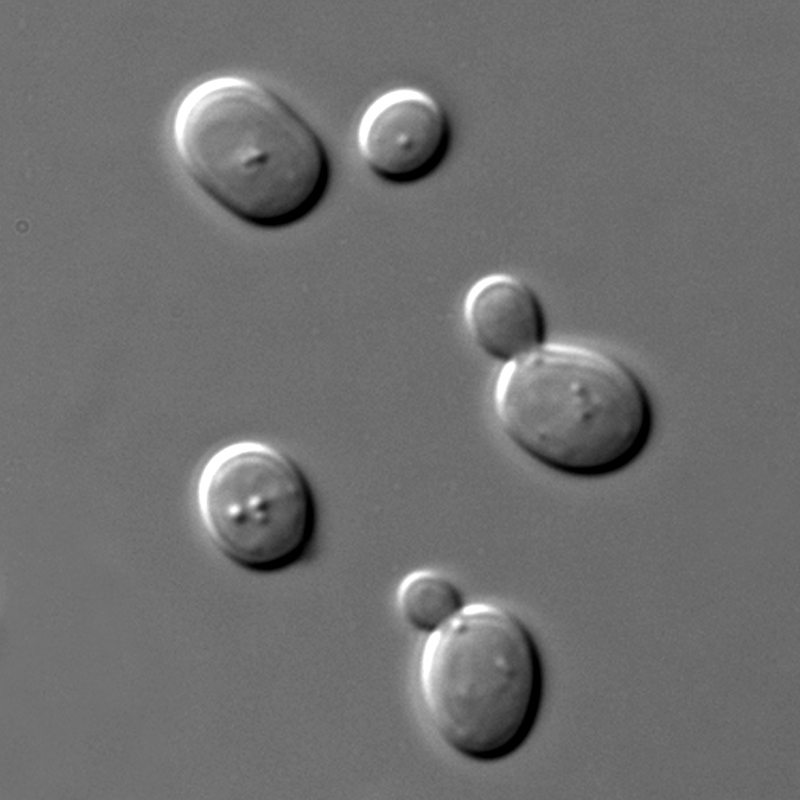 Saccharomyces cerevisiae is a species of yeast. The cells are round to ovoid and 5–10 μm in diameter. It reproduces by a division process known as budding. S. cerevisiae has been instrumental to winemaking, baking, and brewing since ancient times. It is believed to have been originally isolated from the skin of grapes. S. cerevisiae is one of the most intensively studied eukaryotic model organisms in molecular and cell biology, among others for senescence, meiosis, recombination and DNA repair. Many proteins important in human biology were first discovered by studying their homologs in yeast. The genome of S. cerevisiae was first sequenced in 1996. From left to right: i) The number of proteins in the reference proteome of Saccharomyces cerevisiae, ii) the number of unique protein sequences for which at least one model is available, iii) the total number of models and iv) a coverage bar plot is shown. The bar plot shows the coverage for every protein in the reference proteome of Saccharomyces cerevisiae for which there is at least one model. Different colours (dark green to red boxes) represent the coverage of the targets. Targets with high coverage are represented in dark green (more than 80% of the target's length is covered by models), whereas low coverage is shown in red. The size of each box is proportional to the number of target sequences with a given coverage. For information on the latest proteome for Saccharomyces cerevisiae, please visit UniProtKB. You can easily download the latest protein sequences for Saccharomyces cerevisiae proteome here. Please note this download is for the current UniProtKB release, which may be different to release 2019_03 that was used for the most up to date SWISS-MODEL Repository. The plot shows the evolution over years (x-axis) of the fraction of Saccharomyces cerevisiae reference proteome residues (y-axis) for which structural information is available. Different colors (light blue to dark blue) in the plot represent the quality of the sequence alignment between the reference proteome sequences (targets) and the sequences of the protein structure database (templates). Alignments with low sequence identity are displayed in light blue, whereas alignments with high sequence identity are depicted with dark blue in the plot. Target-template alignments were computed using HHblits. NR20 database was used to calculate profiles to search a database derived from all unique PDB protein sequences.